This is the launch of regular postings of my analysis of media law and ethics issues arising out of my work as a journalist and lecturer in the subject at Goldsmiths, University of London. 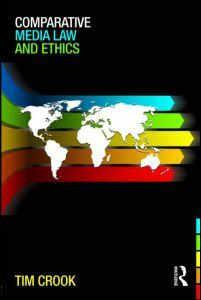 It is linked closely to my textbook on the subject Comparative Media Law & Ethics and its companion web-site. I look forward to sharing my knowledge and opinions with you.